الخيار الأفضل للحصول على المتعة والاسترخاء, Baronnet Holiday Apartments يقع في منطقة سارفرس باراديس في جولد كوست. يمكن من هنا للضيوف الاستمتاع بسهولة الوصول إلى كل ما تقدمه هذه المدينة النابضة بالحياة. بالنسبة لمن يريد الخروج، هذه بعض المعالم السياحية المتوفرة للزوار SkyPoint Observation Deck, Surfers Paradise, 7D Cinema Gold Coast. استمتع بالخدمات الراقية والضيافة التي لا مثيل لها بهذا الفندق في جولد كوست. هذه بعض الخدمات الموجودة في هذا الفندق: تسجيل وصول/خروج سريع, تخزين الأمتعة, صف السيارات, غرفة عائلية, مرافق للشواء. تتضمن كل غرف النزلاء وسائل الراحة والتسلية المصممة خصيصاً لضمان الراحة القصوى للضيوف. يمكنك طلب اللائحة الكاملة للخدمات في الفندق ومن بينها حوض استحمام ساخن, ساونا, حمام سباحة خارجي, سبا, ملعب تنس. مهما كانت أسبابك لزيارة جولد كوست، فإن Baronnet Holiday Apartments هو الخيار الأفضل لإقامة مثيرة وممتعة. العقار يطلب مبلغ تأمين مسترجع بقيمة 100 - 200AUD عند تسجيل الدخول. We are a young couple from Sydney. We stayed for 5 nights at Baronnet and absolutely loved the view from the balcony (level 14). The unit is very spacious for 1 bedroom and the fact that it came with a designated carpark was a plus for us. Highly recommended. We really enjoyed our stay in Baronnet. It is easy to locate and near to tram and bus stations. Just hopped on tram or bus to all the attractions. The apartment is fully equipped with basic necessities. Staffs were super friendly :) Definitely come here again. This must be the best value on the Gold Coast. Apartment style is my preference as hotel rooms are usually too small for us. This is a spacious apartment relatively new, clean and has everything you could possibly want. A fully decked out kitchen (utensils, fridge, microwave, dishwasher, pots and pans etc..), a laundry with washing machine and dryer, a balcony with a nice ocean view and a nice living area with a tv that has Foxtel with free movie channels. The only negatives - the bed was really soft but I slept on the super comfy couch! There is construction happening across the road so there is building noise from around 7am to about 4pm but we were out then anyway. At night it's very quiet and the sounds of the ocean are so relaxing. 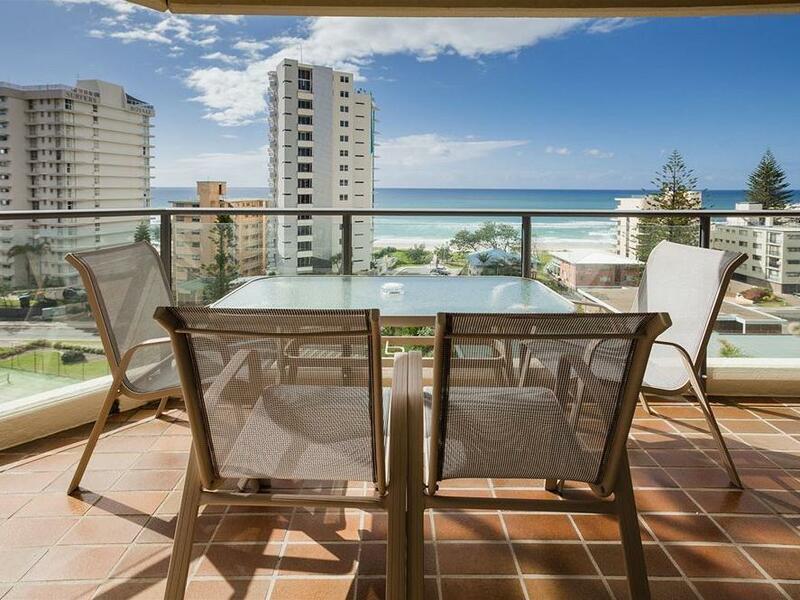 The location is great and an easy 5-10min walk to the heart of Surfers. There is a tram stop nearby,the beach is 200 metres away and there is also a pool, a spa and free secure basement parking. It's got all that you need,full laundry & kitchen facilities all in your apartment. Loved the location. Close enough to walk into the heart of Surfers but far enough away to escape the central late night weekend noise. 2 minutes walk to the beach and tram station (public transport is excellent). Lovely beach walk or quick tram ride to Broadbeach and Pacific Fair mall. The one bedroom apartment is a very generous size and we had a great view. Perfect if you are happy without daily servicing. (I think they service at 5 days if staying 10+). Friendly front desk staff. Clean and well presented, other than the bathroom floor grout needing a good scrub back to the original colour. We arrived after a windy day so didn’t expect staff to have time to clean the sea spray off all the windows! Lovely pool, spa and BBQ area, although pool lost the sun by early afternoon. Didn’t use the sauna. Would stay again and recommend for good value accommodation. Good location & clean. If only like some apartments, it is being clean daily, with new towels and new coffee/tea & sugar. Thank you for your review, our location is great and views spectacular. As we are non-serviced apartments not a hotel we provide basic provisions to get guests started and not daily housekeeping. We stayed at Baronnet from 4/11/17 to 7/11/17 for an extended weekend for our anniversary/baby-moon. We stayed in a 1 bedroom superior apartment and I could not have asked for a nicer apartment! The room was clean, incredibly well equipped, full kitchen, full laundry, everything you could need for a long weekend or even to live really! The balcony spanned the whole front of the apartment and we were on level 12. We looked out over onto the ocean which is only 50m across the road and could look down at the grounds pool and spa. We didn't arrive until after reception was closed but there was a phone there you pick up and they had arranged for a key and info to be left in a safe for us and we could formally check in the next morning, super easy! Parking in the basement which was great for our rental car and a lift up to the rooms. The security is tight and you need your fob to get up in the lifts as well as into the pool/spa area and rooms are key locked. Reception staff was lovely. The heart of surfers is only a 5 to 8 minute walk and being pregnant I don't walk very quickly haha, you cannot get lost and it's far enough away you feel relaxed and not busy in the hustle and bustle of it all. Easy walk to the beach, literally across the road. Pool was beautiful, spa was lovely. Didn't use the BBQ area but it looked good too! Well worth the money which was cheap considering the location and grounds. Only complaint was our above head fan in the bedroom wasn't working, didn't matter much as we had the air con and fan in the loungeroom and there was a nice breeze at night coming in off the ocean. Will recommend to all. Thanks Baronnet for a lovely stay, we will be back! My short stay at Baronnet Holiday Apartments was without any problems, Staff very helpful. Located very close to Trams and Surfers Paradise. i have no problem promoting this as a great place to enjoy your Holiday. Thank you Shakeel. 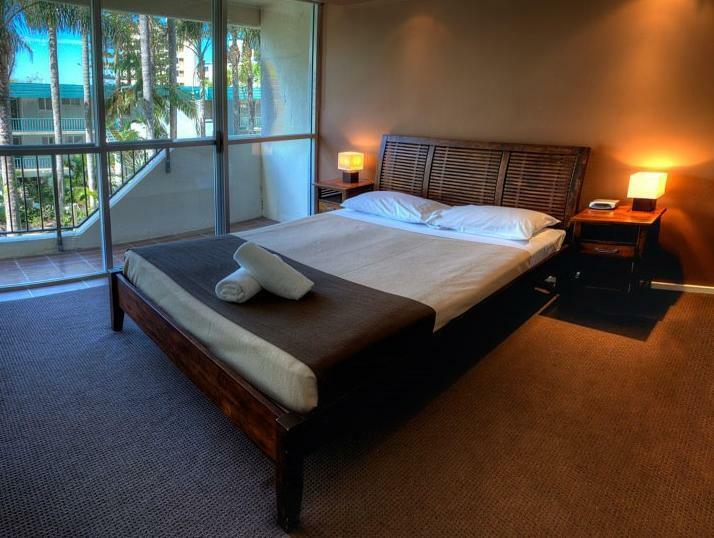 Our location is perfect for a number of reasons and we are delighted that you enjoyed your time here on the Gold Coast and your stay with us. The location is excellent. Just a few mins to the beach and 10 mins to Cavill Ave where you can find lots of shops and eating choices. The Ocean view is amazing where we can see a beautiful full moon. The facilities are ok but it will be even better if bathing gel and shampoo can be provided. Thank you HW for your feedback on your recent stay with us. I trust you have taken back fond memories of your stay and will let family and friends know . It's comfortable and clean inside the room. It only takes about 4 minutes to walk to the G-link (North Cliff Station). And 3 minutes walk from the beach. Thank you Song - we have everything close by with our perfect location and we are pleased that you got to enjoy that. 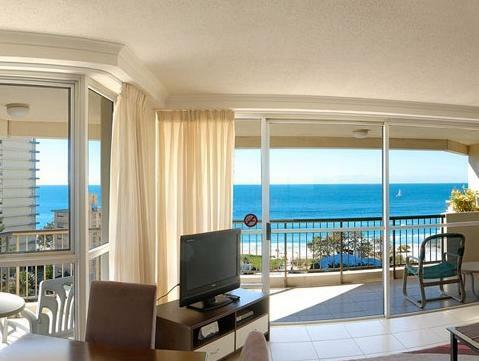 We rented two bedroom ocean facing superior for six nights. The room was very spacious. The view was fantastic. I enjoyed watching sunrise every morning. The moonlight was also beautiful at night. The staffs were friendly and nice. The water heater didn't work during our stay. They tried their best to help us. Location was good. The beach was nearby. Shopping centre and restaurants were in walking distance. Pros: got everything we need, cold aircon, clean, huge lounge, swimming pool, free secured carpark, wash machine and drier, 2-3mins from beach, beachview, good shower. Cons: Looks average I stayed for a week and I will definitely use baronnet again in the future. My Husband and I visited 11/5/16 - 11/11/16. The place was exactly as the website showed (except smaller). The only thing I was surprised about was they did not provide towels (we had to go out and purchase). Which it may have been stated on their website and I just missed it. But no big deal. I still give them Excellent. (Furniture a little out dated and small). Would have been nice to have a TV in the bedroom also and a real coffee maker. But stilled loved the place.